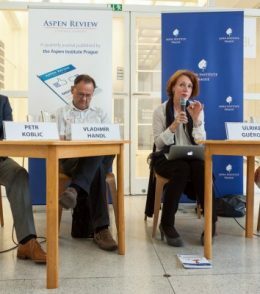 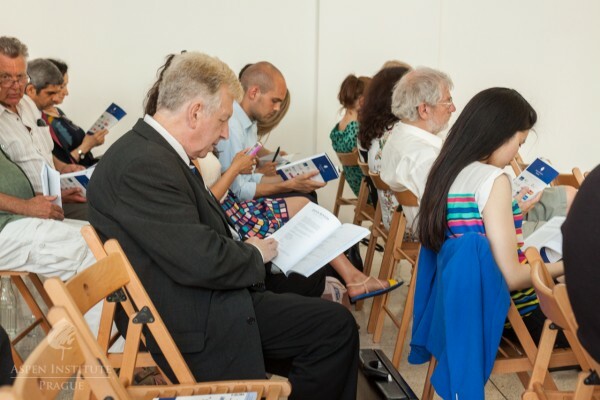 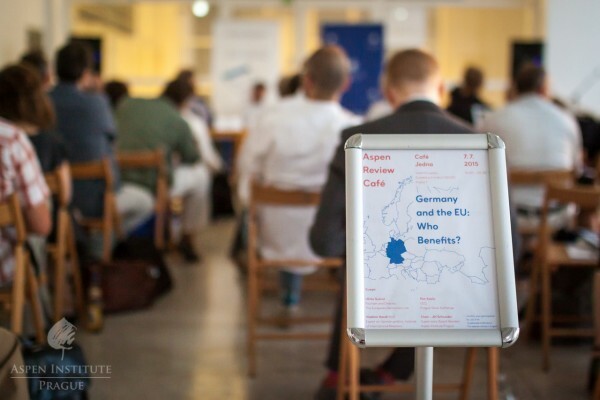 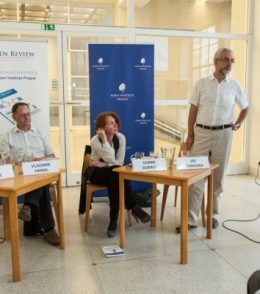 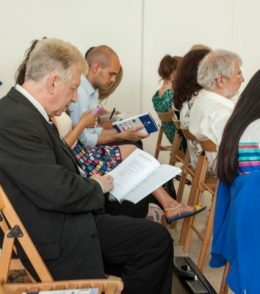 Aspen Review Café: Germany and the EU: Who benefits? 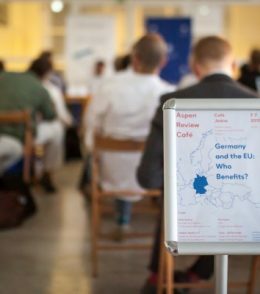 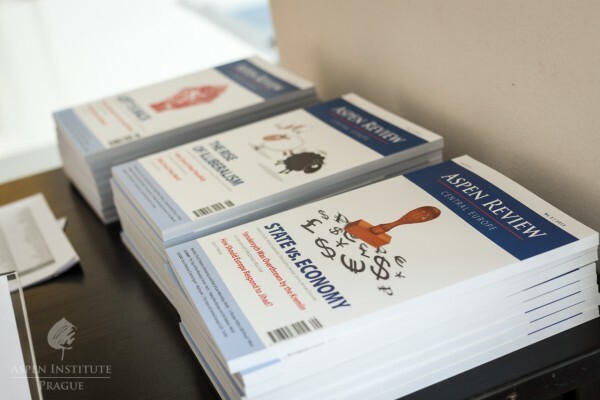 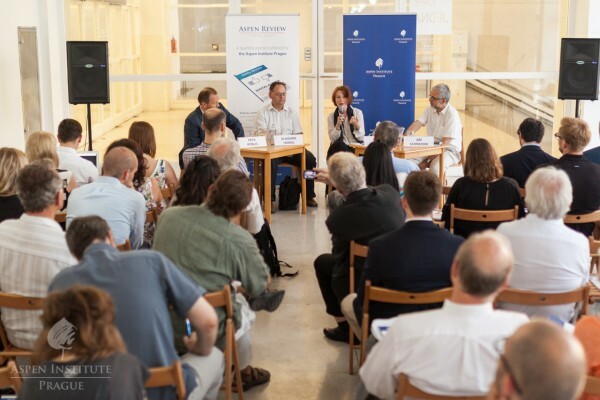 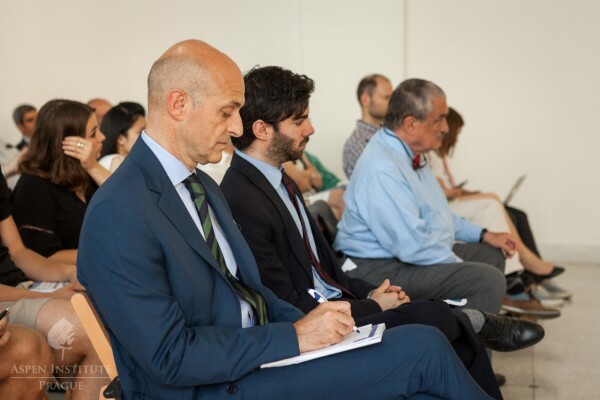 The first event of the Aspen Review Café debate series, accompanying the publication of the Aspen Review quarterly, focused on the role of Germany and its economy within the EU. 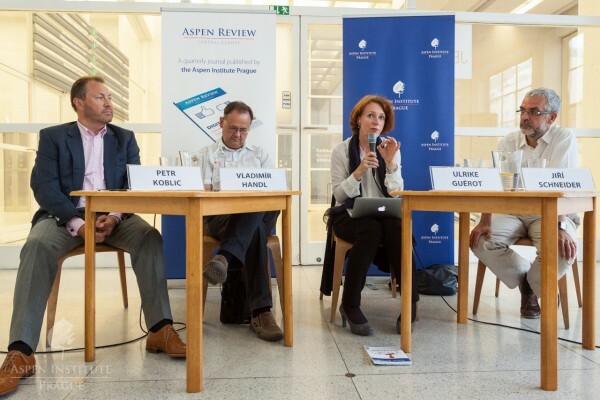 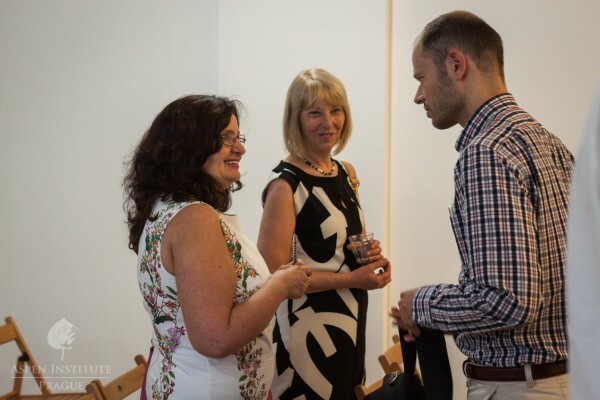 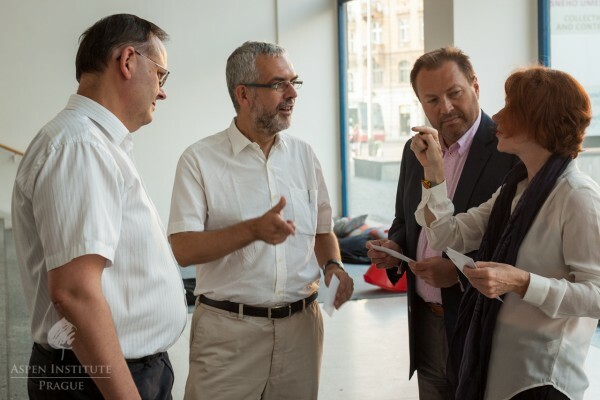 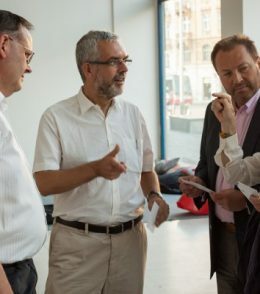 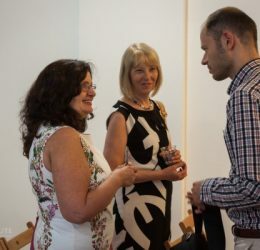 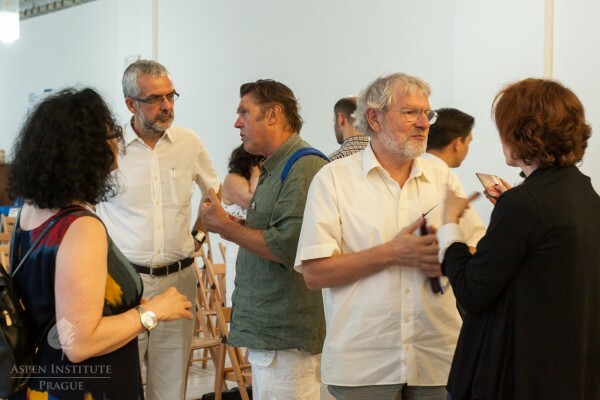 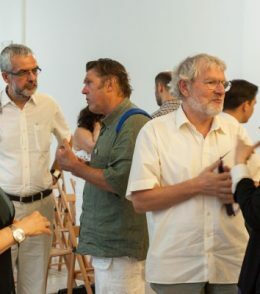 Three renowned experts from different fields – Ulrike Guérot (European Democracy Lab), Vladimír Handl (Institute of International Relations), and Petr Koblic (Prague Stock Exchange) – discussed a variety of current issues. 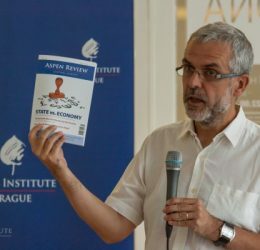 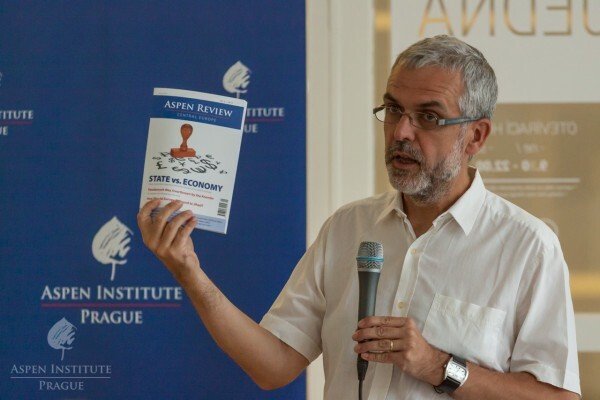 The debate was chaired by our Supervisory Board member Jiří Schneider, who opened the event by presenting the new issue of the Aspen Review titled State vs. Economy. 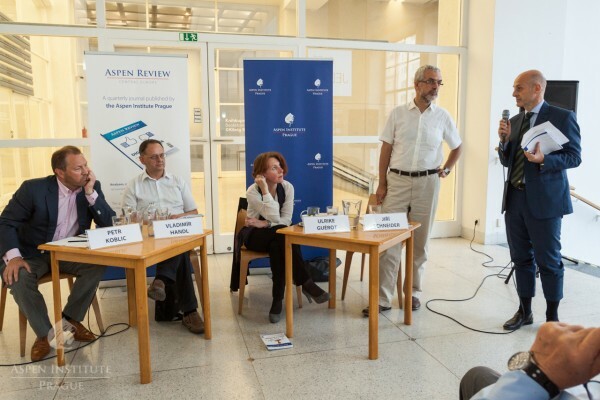 The evening couldn’t have started with a topic other than the situation in Greece and its future in the Eurozone. 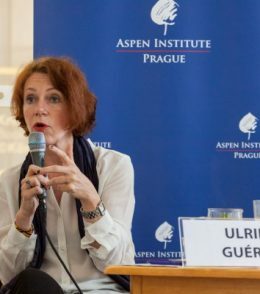 Ulrike Guérot refused to label the issue as a conflict between Germany and Greece, pointing out that the whole European integration project is at stake. 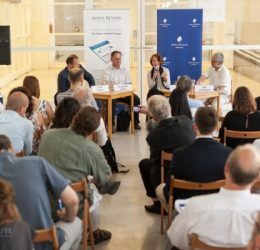 She also spoke critically about Germany’s past reluctance to take its role within Europe seriously and to seek solutions in cooperation with its partners rather than promoting the German fiscal and economic system as the only right model suitable for everyone. 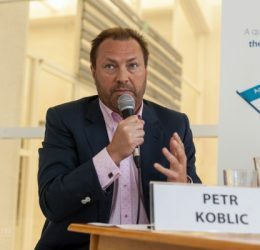 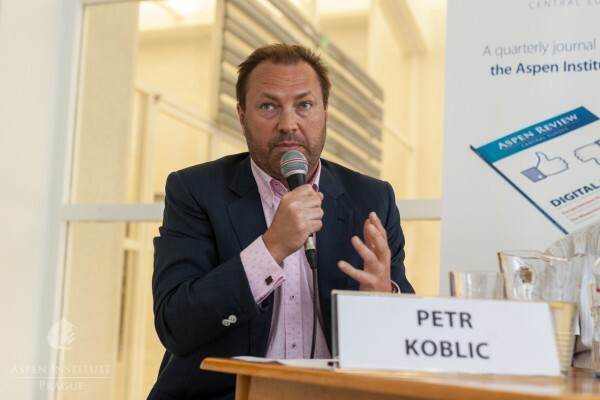 In contrast, Petr Koblic argued that the current problems were, in fact, caused by the representatives of Greece themselves. 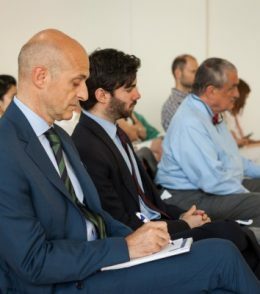 He expressed concerns in regards to Germany, should it be forced to invest more financial means in the solutions of the debt crisis. 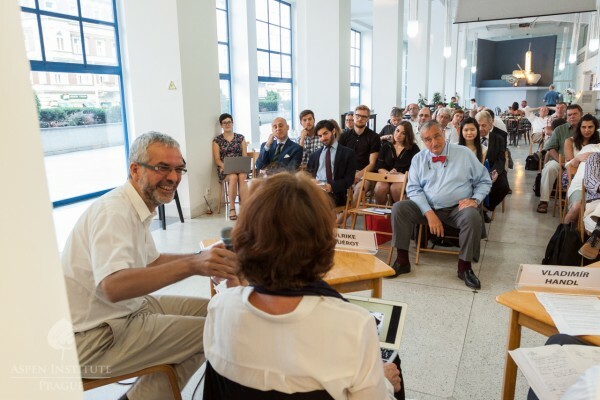 His concerns specifically addressed the possibility of increasing frustration in Germany and consequent rise of extremist parties. 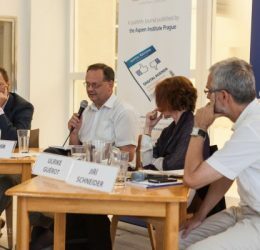 The topic of Germany’s attitude towards assuming a leadership role was then addressed by Vladimír Handl. 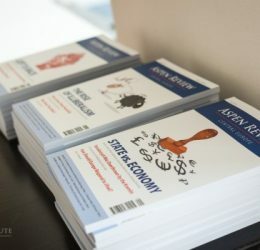 He claimed that it was only the recent crisis that pushed Germany into a steering position – before, its representatives had little interest in leading Europe directly, but rather preferred to pull strings and influence other states through its successful economy. 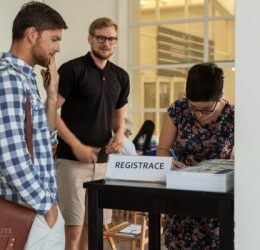 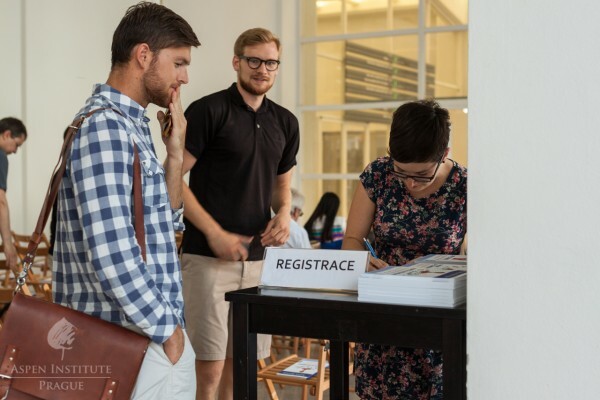 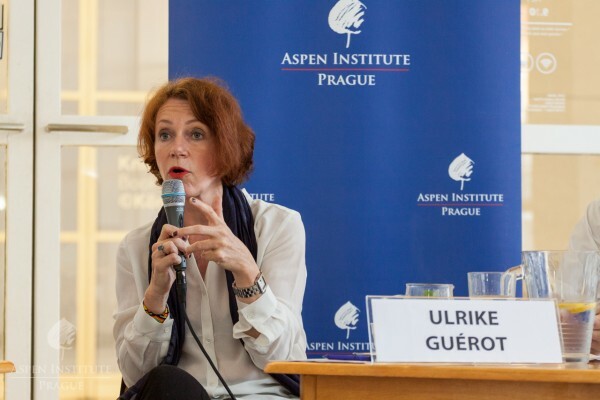 Ulrike Guérot shared the sentiments and explained that due to Germany’s tragic history and the subsequent pressure to deconstruct its power, the country lacks a system of training of its elites towards leadership. 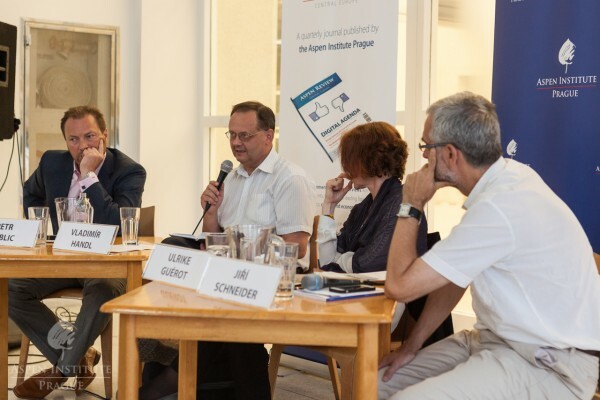 The speakers’ views differed about the current situation in Europe and Germany’s role in the past and the future. 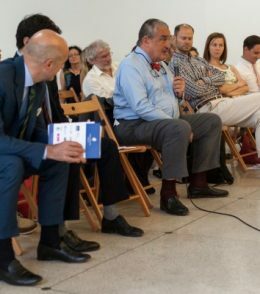 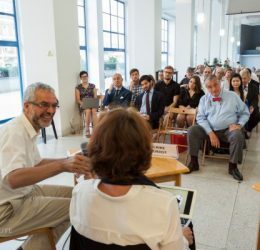 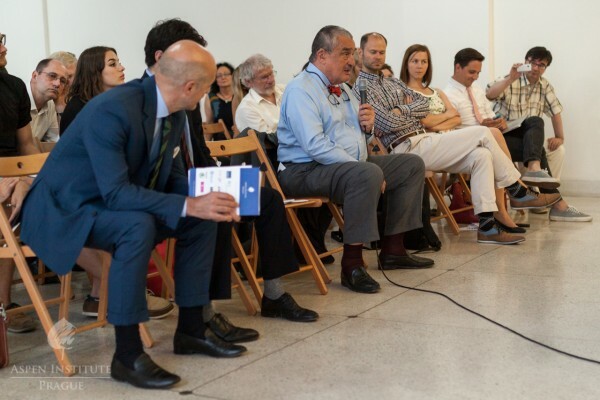 However, they agreed, in conclusion of the debate, that the crisis opens a window of opportunity for reforms, more strategic thinking, and overall improvement of the political, social, and economic system of an integrated Europe.